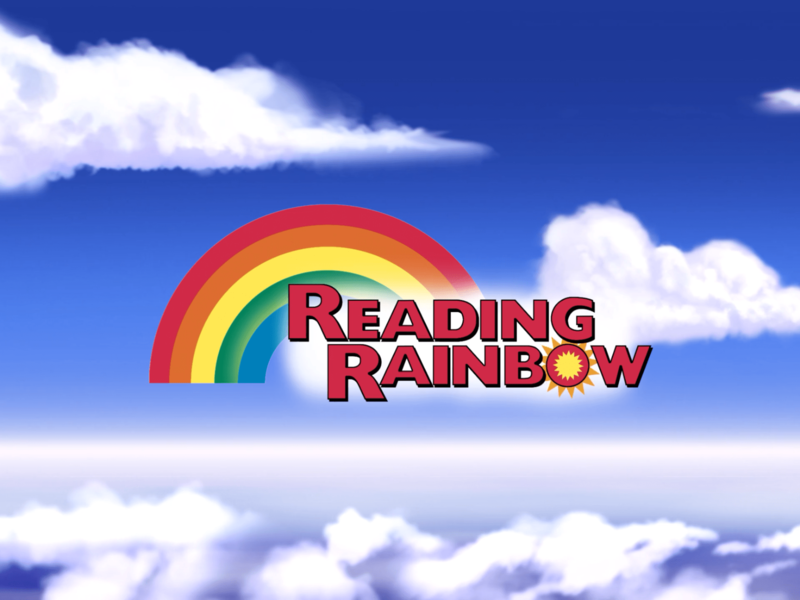 Welcome Back Reading Rainbow, We Missed You! When I was in school, Reading Rainbow was one of my favorite TV shows. The signature theme song would get stuck in my head for most of the day after watching whichever episode my teacher put on for us. Levar Burton felt like a friend I had met in the library and I looked forward to the books he would use in each episode. The thing I really liked about Levar was how excited and eager he was to read each book. I feel like his enthusiasm to read rubbed of on me a little bit. As I got older, my love for the show never went away. It wasn’t until I was married and had a child of my own that I started to look for it again on TV. I was surprised to learn that it was canceled in 2009. As a child, I never thought it would go away. As silly as it seems, the show felt like a friend that I only had a chance to see every once in a while. 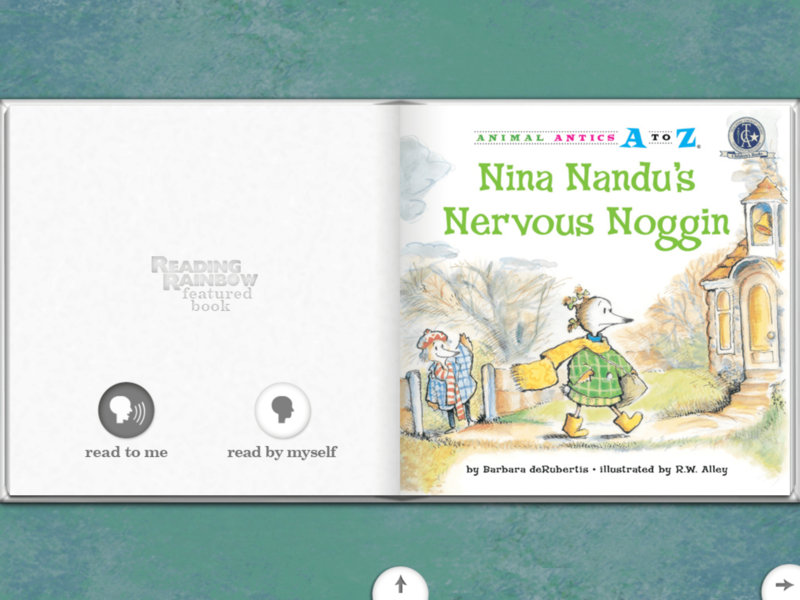 Recently, however, Reading Rainbow was brought back to life in the form of an app for the iPad, and I’ve had the chance to review it. From the moment I opened it up, it felt like I was seeing my old friend again for the first time in years. The theme song, the opening video, everything about it brought me back to when I was a child in school. When you first open the app, you’re greeted by Levar Burton and he explains the magic of the application. Once you get inside, you get the chance to set it up for your child. After answering a few simple questions and giving them a valid e-mail address, you and your child are on your way to exploring new worlds. The first thing you will see are the islands. Each one has a theme and the books inside correlated to that theme. There are also “field trip” videos for you to explore and learn (just like in the series). Once you pick out a book, it goes into your backpack for you to read. The backpack is where the books your child picks out are stored. When your child has completed a book and is ready for a new one, all they have to do is drop it into the Book Return, located in their backpack. The nice thing about the backpack is that the books inside are available when your device is not connected to the internet. The special features within a book, such as reading to them and videos, will not be available, but they can still read the book by themselves. My six-year old son, Brandon, was eager to look around the app. The first time he saw it, we were on the couch watching The Batman in the living room. He heard the Reading Rainbow theme coming from my iPad and you know what? All of a sudden, he wasn’t interested in Batman anymore. Score! Remember the e-mail address you entered in the beginning? It’s used to send you a link to the parent dashboard. From the parent dashboard you can see everything from what your child has read to how long they spent reading. It’s a great tool that allows you to keep an eye on what your child is reading and monitor usage. Even though the app is free to download, if you want to access it for more than one book, you will need to pay for a subscription. There are two options when choosing to subscribe. The first is the per month option, which costs $9.99. The second option is to pay $29.99 for a six month subscription. At first, when I saw the subscription cost I was a little surprised. But after I started to do the math, I realized that I pay more than that per month on myself for comic books. I also compared it to Marvel’s Unlimited comic book subscription service and it figures out the same. All of a sudden, $29.99 ($60 a year) didn’t seem like that much to pay for my son to have access to thousands of books at the touch of a button. If you just want to check out the app, you can pick out one book for free. After you have a chance to look around, if you decide to subscribe, you can have up to five books in the backpack at one time. I love this app and I highly recommend it for children between the ages of three and nine.